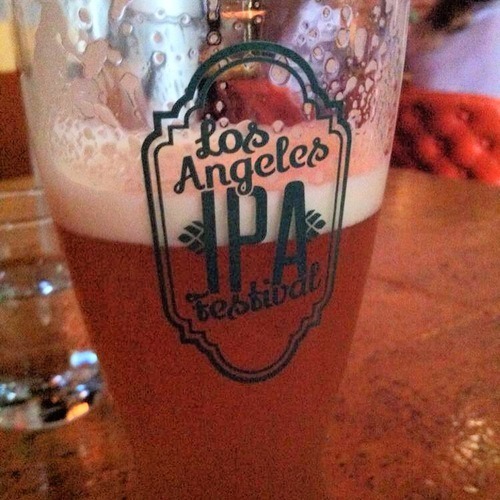 What a weekend of great beer for Los Angeles. Between the Smog City Fan Appreciation Event, LAIPAfest, Alpine Village Beer Festival, The Bruery Barrel Aged Beer Party and a special cask tapping at Monkish, how did anyone even make it to work this morning? I unfortunately missed out on many of the events above due to other commitments, but when the tweet above from Monkish came up on my phone, my girlfriend and I made a last minute change of plans and drove from Malibu down to Torrance to check it out. 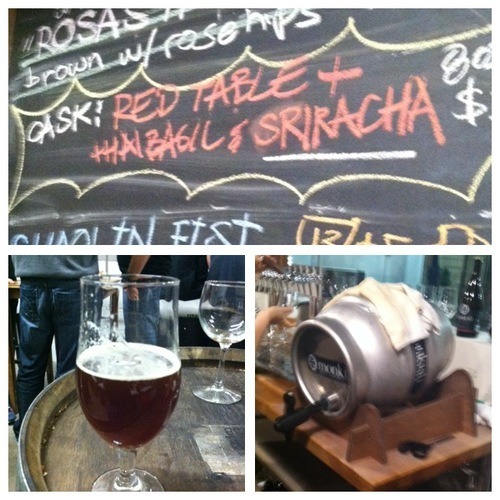 The Red Table Cask w/ Thai Basil & Sriracha was quite good. The aroma of the spice and the basil was very strong but the beer was smooth and quite drinkable. The one issue I think I had is the the sriracha overpowered some of the other flavours in the beer, particularly the peppercorns (which is my favorite part of the Red Table generally). Overall though I’m very glad I made the drive. Sunday afternoon we jumped on our bikes and road east to Echo Park to enjoy #LAIPAFest at Mohawk Bend. I was a little worried they would have sold out of their cask on saturday but luckily it was still pouring and tasting great. The real ale available for the festival was the Dry-hopped Citizen California Common and it was just an excellent cask all around. Lovely dry hop flavour and aroma, with a silky head reminiscent of a cream ale. Not to mention that Mohawk served it at the ideal temperature for a cask. Slightly chilled, but not overwhelmingly so as to diminish the flavor. Wish I could have made it out to the other events, but with so much going on this weekend, there’s no way I could have done it. Send me a message @caskalela if you are tapping something tonight!